Top Floor, End Unit, Best sunset/Bay views in the building. No need to look Bayside anywhere else. This fully furnished condo is ready for all your beach dreams. 2nd home or make massive rental income. 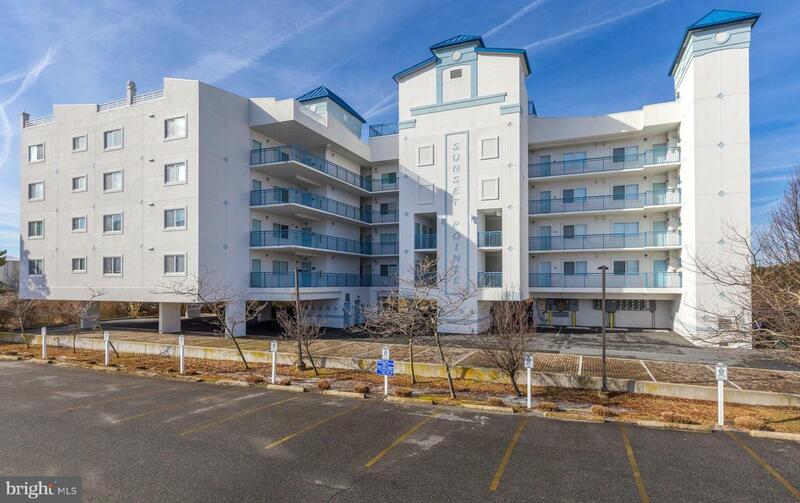 Convenient location to get in & out of Ocean City and never have to wait in traffic on coastal highway. Gas fireplace for any chilly nights during the off- season makes this a year round investment. Large deck that overlooks the best sunsets you can imagine at this price. Owners locker for all your beach storage needs. Roof top POOL makes the bay view even better while the kids/guests enjoy their swimming time. 63rd street location is right across from the ocean and surrounding by all the great restaurants OC has to offer. Spring is here, BUY for the summer right now! !